New Year’s Eve is typically a time to reflect on and celebrate a year gone by with movie like memories of all the events, milestones, and growth wrapped up in those 365 days. When I was little, my biggest priority was building our New Year’s fort, a labyrinth of serpentine methodically tied and taped across every piece of furniture in our living room. Some years the celebration was more about letting go of the past and looking forward to something new, a fresh chance to fulfill those resolutions and promises. And then, let’s be honest, some years I was mostly concerned with my New Year’s date prospects. With a pretty firmed up date/husband to free my mind from any potential social anxieties, I can reflect with a fair amount of clarity going into tonight and the approaching new year. Thinking about this past year amongst the glow of our lingering Christmas lights, I’m struck by how much my reignited love of learning, especially reading, has impacted me this year. I have always loved good books and learning new things, but nothing compares to the voracious, almost binge-like appetite of a learner on a mission. The last time I felt this way about a pile of books was when I discovered author, Marguerite Henry, and ate up her equine-centric novels as fast as I could check them out of our elementary school library. I believe the comparison has been made before between binge TV consumption and binge learning and considering how the engagement level differs so much between our media industries and our education system. Essentially–why can’t kids gobble up calculus like a season of Breaking Bad? Maybe for me the intrigue has come from the conflict of becoming a bit of an accidental entrepreneur, thrust into a role I never anticipated, but passionately love and want to do well. The gap between all the things I wanted….more like needed to know at the beginning of this year and what I knew at that moment catapulted me back to the land of learning–the only place where I could fill the gap. Book by book, article by article, conversation by conversation, even tweet by tweet… my perceptions were challenged, my thinking deepened, and my understanding cultivated on a variety of topics and subtopics I wanted to master. 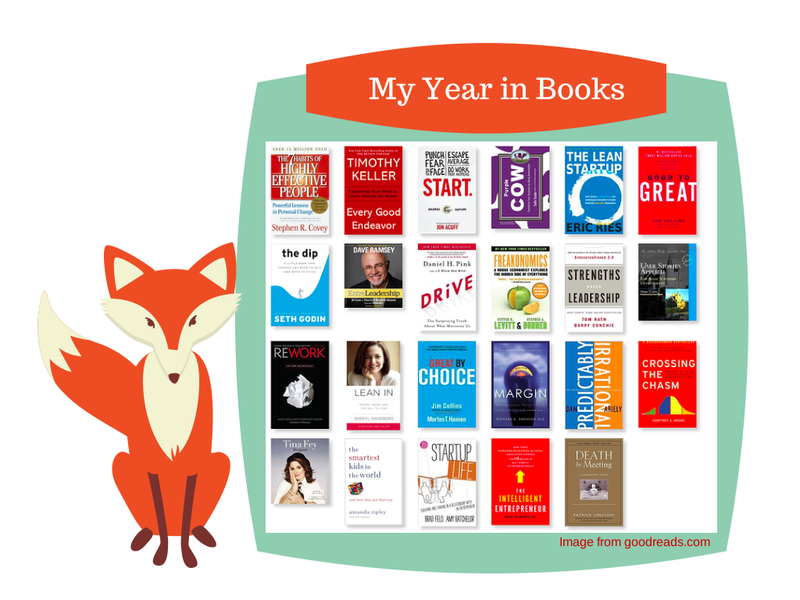 The books I read this year remind me of where I started and how much learning is possible in a year. Armed with a little more knowledge than last year, the idea might finally be sinking in that I can more than adequately fulfill the role I have been given at work. It may take me a couple more books on “work life balance” to get the hang of that though. Frankly I am quite grateful there is more I have to learn. I recognize now how boring life would be if I ever knew everything worth learning. I had grand intentions of writing a post about each of these books, but in the spirit of reality not resolutions I recognize a quick, stream of consciousness bite of what I took away will have to do. Feel free to reach out if you have questions about any of them, I’d be glad to do a deeper dive on any. 1. Be Proactive 2. Being with the End in Mind 3. Put First Things First 4. Think Win Win 5. Seek First to Understand, Then to Be Understood 6. Synergize 7. Sharpen the Saw (another reminder to rest and renew) Not to give it all away but you could read this in the table of contents. Very motivational. I was very pumped up about starting and going and doing and being awesome. I need constant reminders about punching fear in the face, so this was very helpful on that front. The difference between finding your purpose and living with purpose. The power of reaching out to someone who is further down the road than you—and not being afraid to ask for advice (on the flip side doing the same for others). Continuing to develop. What it means to be remarkable. What a waste of time anything less than this is for a company. Find a way to standout. Filled with useful case studies relating to marketing and product development. Why are there so few remarkable products? Because there is so much fear associated with trying something different and standing out. This one really needs it’s own post but…Level five leadership (I think I will need to re-read this section at least once a year), first who (meaning get the right people on the bus) then what, be realistic about your situation (no vanity metrics), hedgehog concept—keep it simple and stay focused on your core mission (many good anecdotes on companies that lost sight of this and failed or struggled as a result of leaving their core competency). Discipline—which I think connects well to the 20 mile march Collins brings up in Great by Choice. Listen to real people not what you think they think. Nothing worthwhile is easy to do. Know when to quit and when to stick with it. Know when you are on a cliff and when you are just in the dip. The dip is rough, but that is why there are so few people on the other side. Know what you stand for and stick with it. Interviewing is more than a one step process and the choices you make when building a team are make or break it type of decisions. Don’t sanction incompetence. So much more..this one gets another post too. I even have a sketch of an infographic for it somewhere. Challenged preconceived notions on what motivates people. Made me think about how I am motivated and how I can motivate those on my team. Discovered my desire for autonomy and impact over compensation and praise (not that those aren’t good too if my boss is reading this). 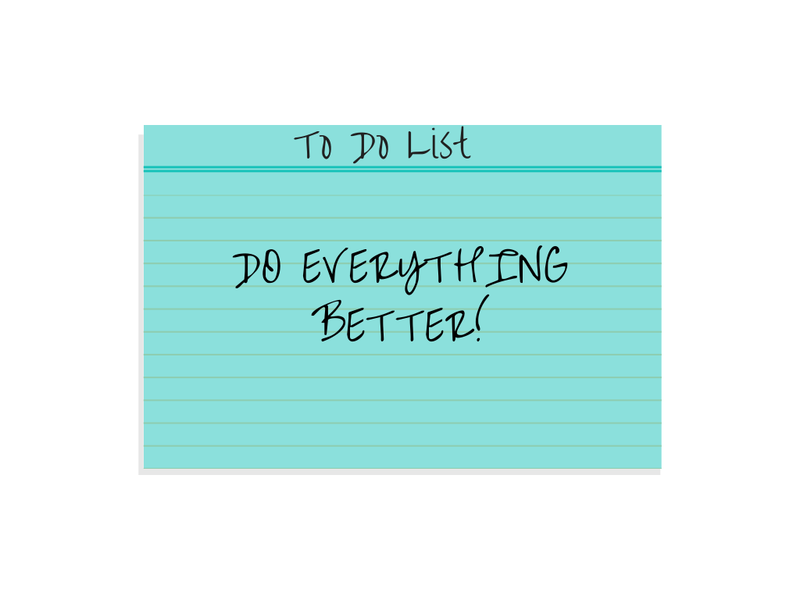 Just because conventional management theory or everyone else have always done things a certain way doesn’t mean it is the best or most efficient way of doing things. “Rockstar environments develop out of trust, autonomy, and responsibility.” Culture is the by product of consistent behavior. Hire managers of one. The value of knowing your own strengths and those around you can help created a differentiated approach to leadership. Just like the kiddos in my classroom didn’t all need the same thing, each member of my team doesn’t need the same things. Approaching conversations and delegation opportunities with this in mind can clear up a lot of typical workplace challenges and misunderstandings and set up the members of your team for success. Still a lot to learn on this front. However, I learned how to communicate better with programmers, understand the roles of the team and the processes for efficient agile work, write user stories, edit user stories, refactor user stories, and have a better overall understanding of what the Agile practice looks like not just in theory, but in real software development projects. Interesting look at why people do what they do, how people are motivated and the relationship of economics and incentives. Economic lessons told through stories—the only way I will probably digest them with interest. I like to ask myself the question Cheryl asks—What would you do if you weren’t afraid? Then I try to push myself to do that. I also hold on to the idea of women not taking their foot off the pedal when it comes to their careers. I can’t remember if that was in the book or in a talk I heard from her, but it sticks in my mind as an applicable and very often true metaphor. This book has initiated lots of relevant conversations amongst our EdTechWomen Austin group too. Another post needed for this one too. What can I say, Jim Collins rules. What you choose to do in the good times can make or break you in the times of challenge and uncertainty. 20 mile march (I can arguably apply this concept to anything—try me). Fire bullets then cannonballs (experimental mindset). Use a calendar for everything. Build in real margin to your days so there is room to live and be present. Dr. saw stay at home moms and CEOs with similar stress levels. Dan Ariely challenges the idea that we make decisions based on rational thought processes and uncovers the hidden forces behind our decisions, told through researched stories that demonstrate the concepts in easy to apply ways. The cost of zero cost-why we often pay too much when we pay zero. The cost of social norms-we are happy to do things but things change when we are paid to do them. Understanding procrastination- this part had lots of interesting potential applications to preventative health and spending. Keeping options open- why options distract us. The power of expectations and price. Character and honesty. 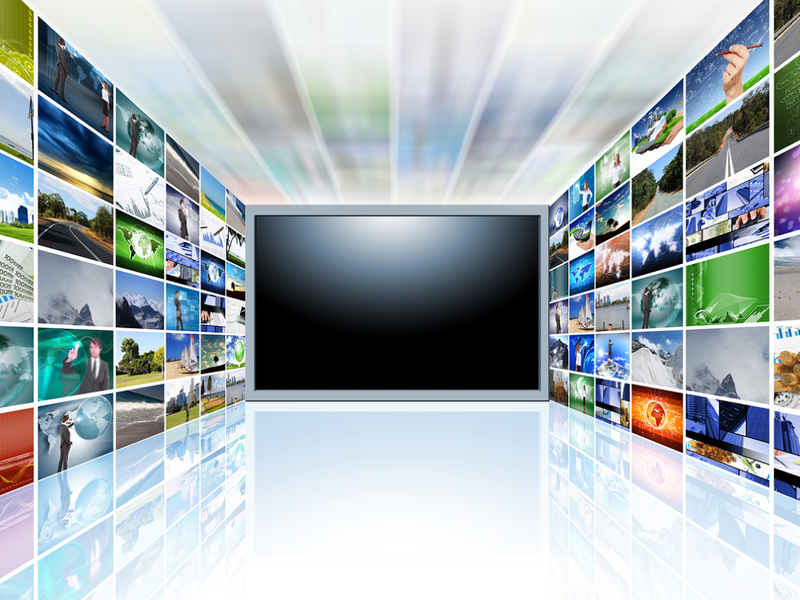 Must differentiate your marketing based on the segment you are marketing to. Helped characterize and better understand different stages of new technology lifecycle in an early start-up. Deepened understanding of early adopters vs. early majority (pragmatists) something I had heard over and over before but not really thought specifically about. Whole product concept. This was my attempt at listening to something fun and light—which it definitely was. But I was surprised by the nuggets of wisdom that are woven throughout, especially on females in male dominated fields, leadership, and teamwork. Excellent take on the US ed system vs. several of the top international education systems like Finland, Poland and South Korea. Observations point to the US lacking a culture of achievement and seriousness towards education at a level that these other countries do. Children buy into the promise of education in these countries and parents focus on the important stuff. She also points out that we don’t start at the beginning with teacher preparation and make the process towards becoming a teacher more rigorous and selective (e.g. Finland only accepts top students to teacher preparation programs at top universities— it is much more like getting into medical school). I really simplified her case–she builds it and lets you make your own conclusions. Practical practices for implementing boundaries for work and non-work. More support for true unplugging vacations that I hope to take someday and validating the impact of rest time increasing efficiency (something I know but have trouble practicing). Lots of relationship advice although much was from the perspective of the male as the entrepreneur—in their defense they really tried to include some diversity in gender and story. Learned a lot about the principles and practices of HBS (Harvard Business School) and followed the story of 3 graduates of the 1990s and their roller coaster rides of starting, saving, and selling their startup companies. Especially enjoyed the interviews at the end with the three graduates and their insights on what worked and what didn’t. 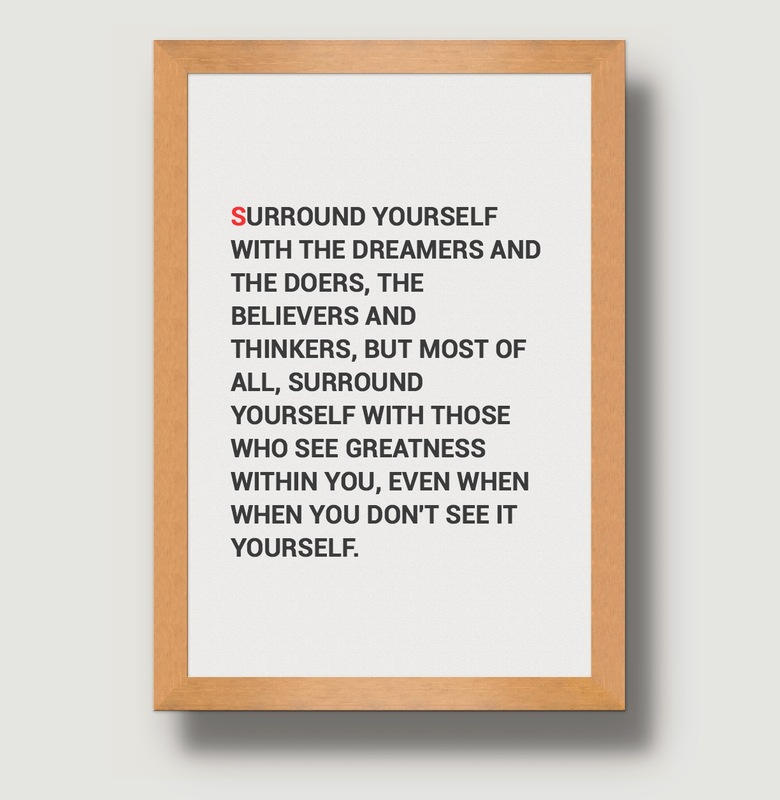 Reinforced value of one’s network as highly correlated to success and increase opportunities. Value of developing the right team, thinking big, thinking new, perseverance and resiliency (sounds like a lot of soft skills to me). Understand the value of conflict and context in meetings. Practical implementation of the Daily Check In (I prefer Huddle), Weekly Tactical (Game Plan), Monthly Strategic (and Adhoc Strategic), and Quarterly Offsite. Told through a leadership fable that I thought was both authentic and applicable. Would be great to share with a team of folks seeking to be more effective with their meeting time and process. I can’t wait to get started on my 2014 list. What will your year of learning look like? My incredible mentor teacher, Pat Wright, gave me a bracelet when I made the difficult decision to leave the classroom. Inscribed in the silver band the cursive letters read, “embrace the journey”. Pat clearly knew my tendency to race towards the finish-line line, want to accomplish more, and very seldom stop to rest and reflect along the way. Shauna Niequist, in her book, Bittersweet echoes this refrain, a result of the mania of modern life, as she shares of her breaking point after writing DO EVERYTHING BETTER (in all caps) across her todo list. I think part of my cyclical behavior and striving is due in part to the fact that this insanity is sometimes unfortunately effective. I will never forget the principal at my first teaching interview telling me I had a “record of success” and as a result he trusted me to teach ALL the subjects in two languages “even though I was just a first year teacher.” If it wasn’t already hardcoded, that comment reinforced my fear of failure and the false notion that I better not mess this up. And still now I find myself having to fight my lizard brain, as Seth Godin likes to call it. This is the voice that tells us to play it safe, to hold creativity at bay, and stay inside the box for fear of making a mistake, stirring up trouble, or missing the bar. Shared something successfully? Lizard brain has new questions of doubt for you: Will I get the same response? What if this isn’t as good as the other thing? On and on our lizard brain takes us down the rabbit hole of fear…especially right before we are about to turn it all in. Then we hustle and bustle about finding all the other things we “need” to do besides simply shipping. In our connected world, I can get online and see a thousand things everyone else has shared, tweeted, created, and then the crazy thoughts take back over—DO EVERYTHING BETTER. 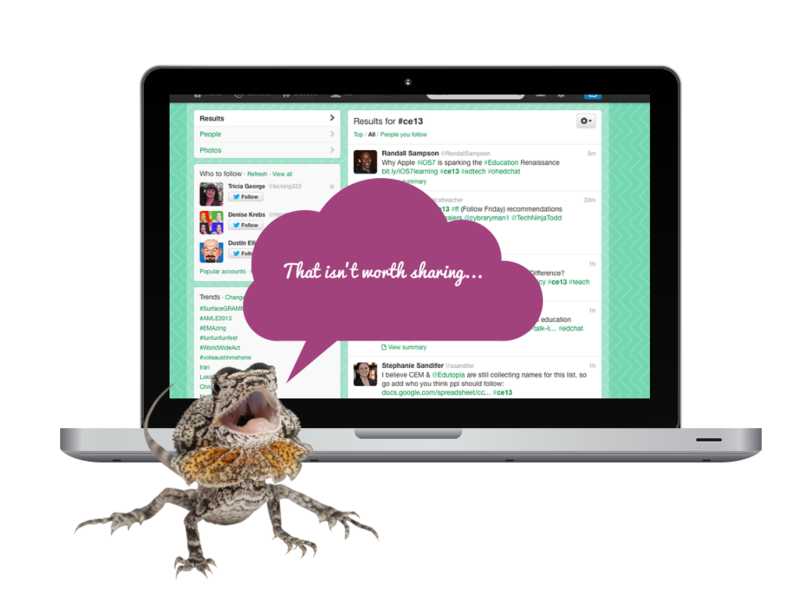 When at last I’m ready to post or share lizard says, “hold up… that isn’t worth sharing. That isn’t completely innovative or original or mind blowing.” Whaa? Lizard brain please stop being so schizophrenic. On the other hand, being “connected” and working with awesome educators pushes me to think deeper, write more often, unpack my thoughts, and not fear someone challenging or critiquing them. It gives me confidence as those around me encourage me and see the good I can’t see in myself. So what do we do with the skeptics and critics? 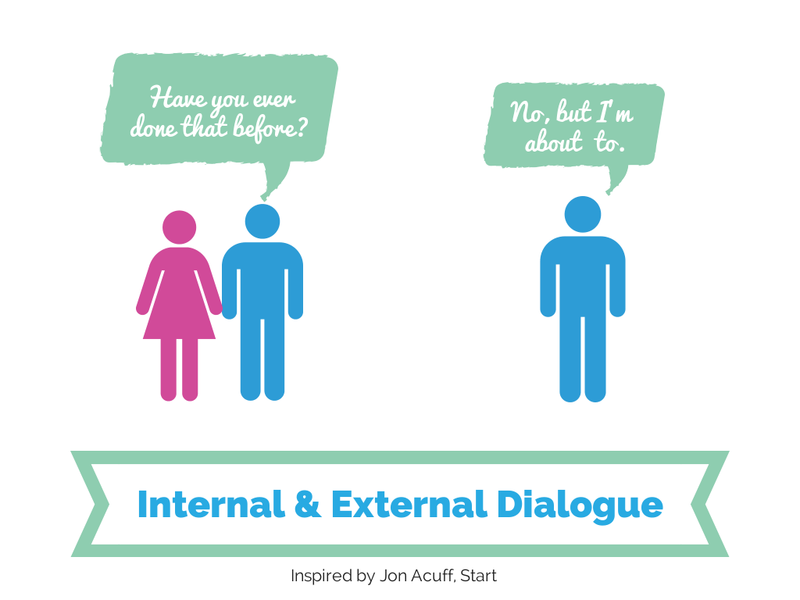 Jon Acuff, in his book, Start, discusses the dialogue that occurred with skeptics when he was starting to write a book…. I don’t know about you, but I want my inner dialogue to sound more like that. There are a bunch of things I haven’t done yet that I want to do. There are things I want to create and curate and share and learn. 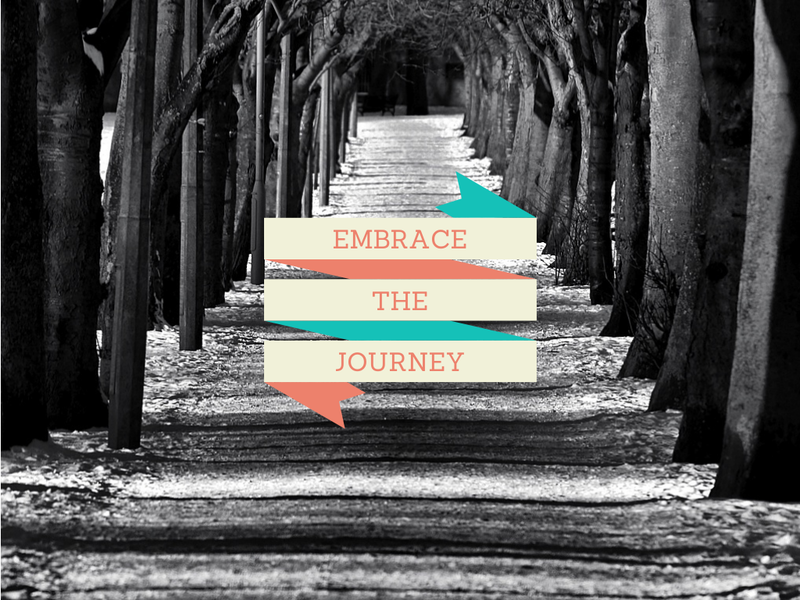 I know the journey of learning and growing is the road less traveled. It is much easier to just take and consume instead of giving and creating. Kid President warned me there are rocks and thorns and the potential for clothing malfunctions down this road (you have to watch it to get that one). But even though the lizard voice may be loud on this path, there is “work that is only mine to do…” and so I will keep working on silencing the lizard brain, shipping, and most importantly, embracing the journey as I go. *In the sprit of full disclosure I wrote a version of this post in my Evernote a month or so ago, and left it 2/3rds of the way done, but wasn’t quite sure about it so it sat and sat, but here it is shipped whether I think it is ready or not.